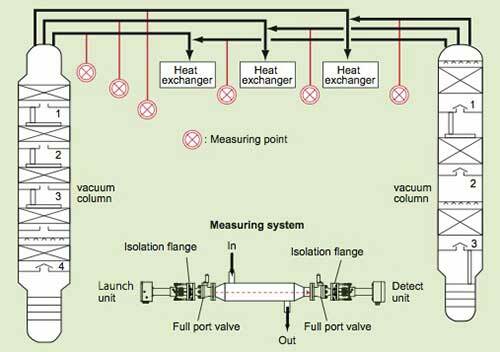 O2 measurement in hydrocarbon vapor is used for safety monitoring in vacuum distillation columns in petroleum refining. With conventional paramagnetic oxygen analyzers, O2 concentrations are obtained through an extractive sampling system, which conditions the sample prior to being analyzed. Sample systems cause measurement response time delays, which are very critical in safety systems. Moreover there are many problems related to maintenance and operational costs of sample systems. The process gas to be measured contains high concentration of H2S that leads to quick corrosion of the sample system and analyzer. Another issue when using sampling systems is the sample is not representative of the process after the sample has been conditions and dew point of the sample has been modified, which affects the volume concentration of the sample. The TDLS200 Laser Analyzer is the solution to all these problems. 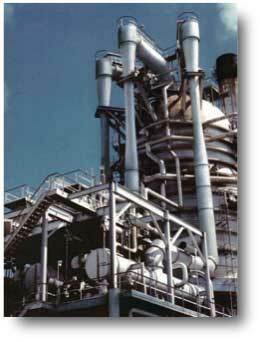 The vacuum distillation column is used to distill the residual oil from the atmospheric distillation column. The distillation must be performed at absolute pressures as low as 2 to 15 kPa so as to limit the operating temperature to less than 370 to 380°C and to avoid hydrocarbons cracking processes. The presence of oxygen in the process can be caused by leakages and can lead to explosion. Thereby there are rules to control the O2 level in vacuum columns. At level 2 to 5 % O2 the alarm and purging of vapor line by inert gas has to be switched on. That is why high-speed response and high reliability are required for O2 measurements. 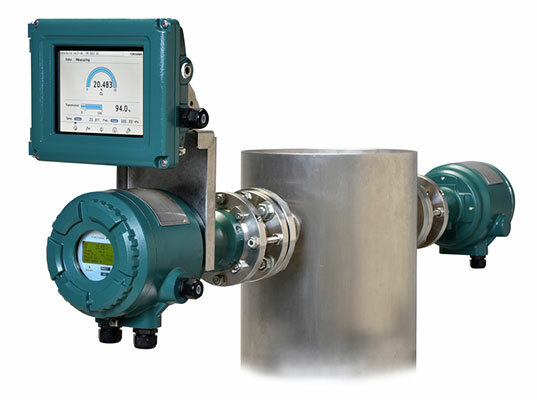 Conventional Paramagnetic O2 analyzer cannot be used in-line measurement. The TDLS200 is capable of directly measuring the O2 concentrations in the vapor line, instead of conventional paramagnetic oxygen analyzers that perform measurements through a sampling system. When using traditional analyzer systems, since the application is for a process working under depression (vacuum), a pump is required. The deeper vacuum the more difficult it is to provide the proper pump. Sometimes it results in seal failure and air leakage and failure measurement results. The shape of O2 absorption spectrum become very sharp under this vacuum condition, which is difficult for other TDL analyzers to measure O2 concentration accurately. But only TDLS200 can measure O2 concentration accurately under such vacuum condition by True Peak integration (area) method. For the pressure variation test data, see next page. Note: It is needed the suitable pressure class of the used flanges. 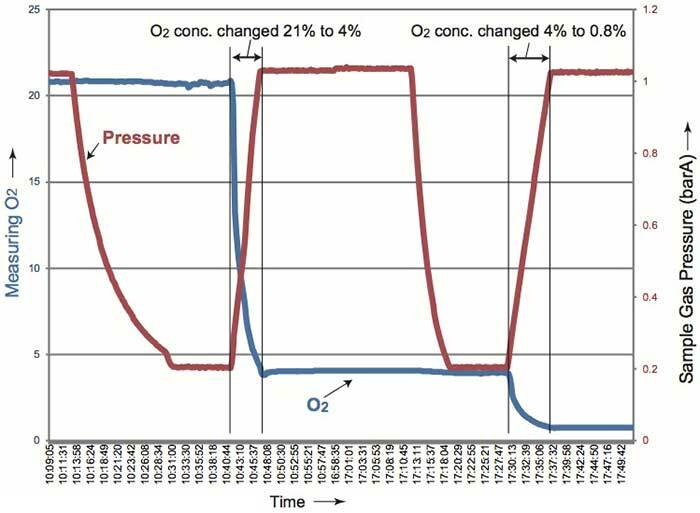 This graph shows O2 measurement on 21%, 4%, 0.8% level under condition which gas pressure change from 1 BarA to 0.2 BarA by TDLS200, and shows the measurement done stably and correctly without influence of pressure change. O2 absorption spectra shape is big changed by pressure change, but the spectrum peak area change to pressure proportionally, so TDLS200 can compensate pressure influence correctly. Oxygen analyzers provide valuable measurements in combustion control, process quality, safety and environmental applications.